Learn a little more about our structure for joint ventures. 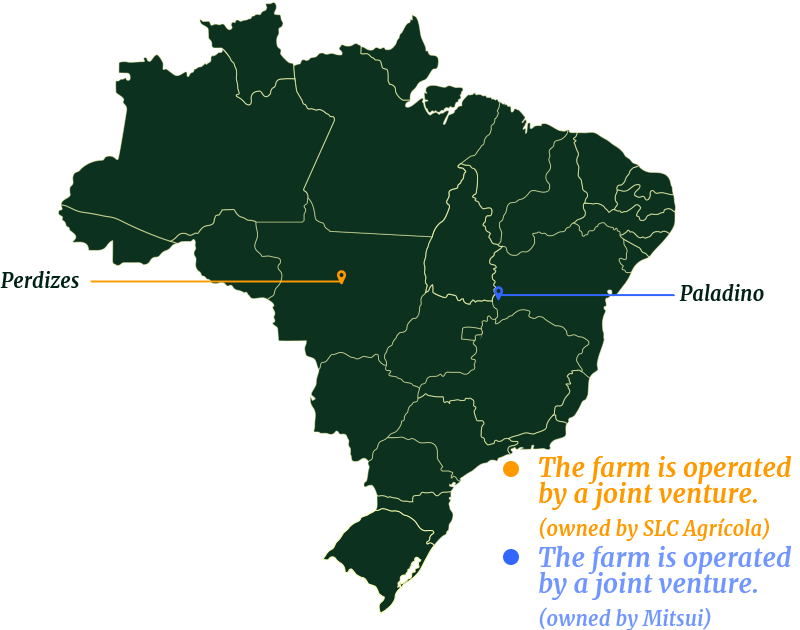 LandCo is an operation created by SLC Agrícola with the strategy of monetizing part of the property gain that has been obtained over the 30 years of land acquisition in the region of Cerrado, also aiming to raise capital to continue the acquisition process of land with high growth potential. In the general lines of business, SLC LandCo is responsible for disbursement related to: land acquisition, opening and area clearance, applying correctives (potassium chloride, phosphorus, and limestone) and the construction of infrastructure. The private equity fund English Valiance is a partner of SLC LandCo, with a current share of 18.8%. For the formation of the company, SLC Agrícola contributed with land and Valiance with capital. The capital provided was used to acquire more land. SLC Agrícola leases and operates the lands of SLC LandCo as long as these are ready for planting. The land offers received by the SLC Agrícola are first subjected to an analysis by SLC LandCo. 27,710 hectares have already been acquired, so that the total portfolio of SLC LandCo is currently 86,574 hectares (including the three Farms that were originally given). SLC Agrícola receives remuneration for the management of this operation. 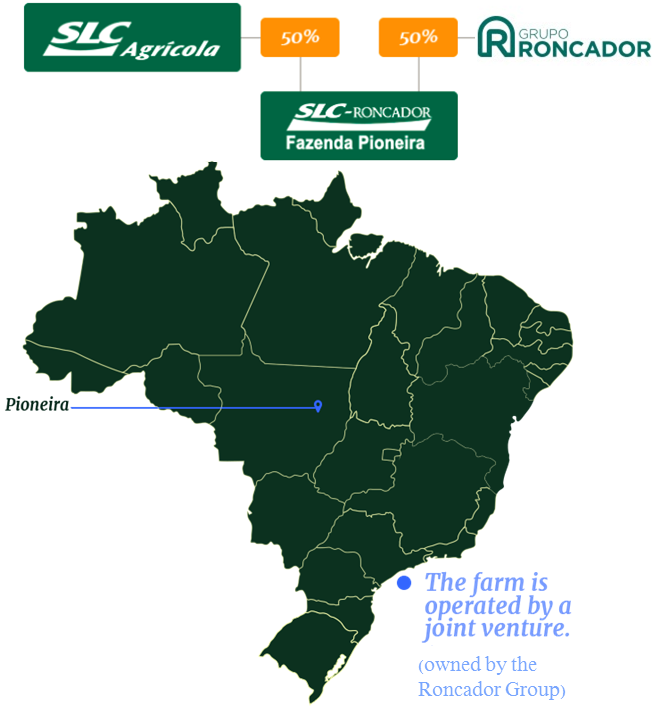 As in the case of the joint venture with the Soares Penido Group, this joint venture is directed only to agricultural production (without investment in land). This is a highly strategic partnership, because it is a partnership with one of Japan’s largest business groups, Mitsui&Co.